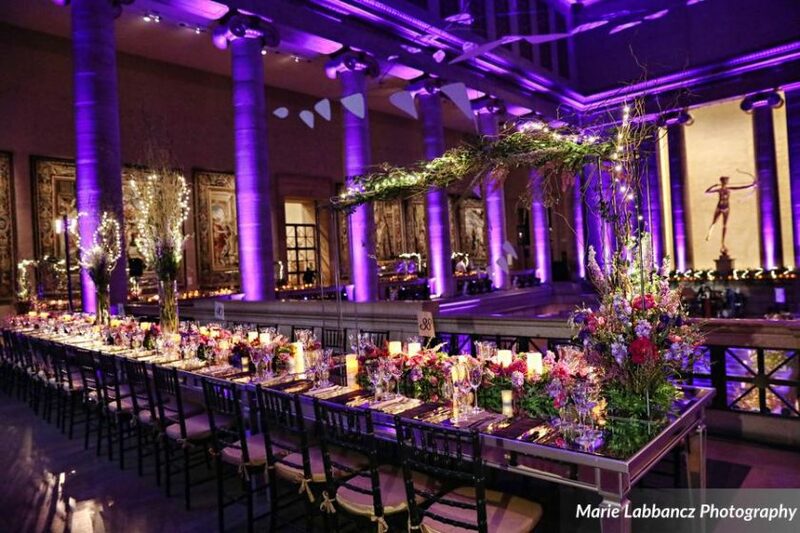 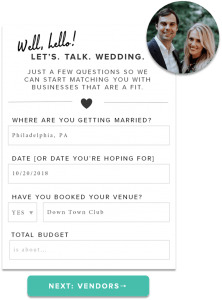 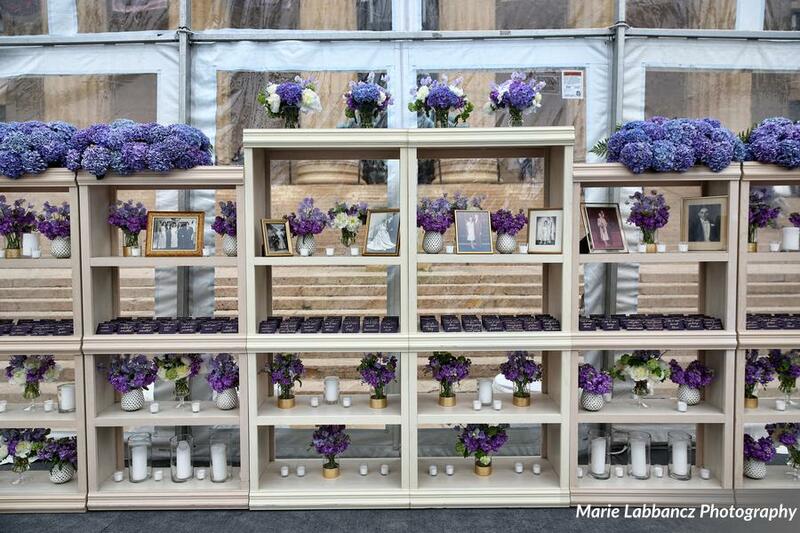 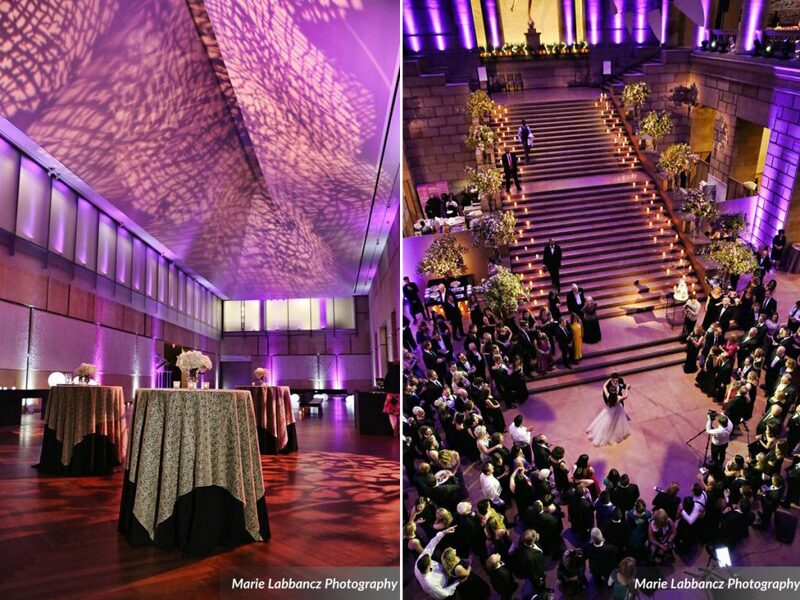 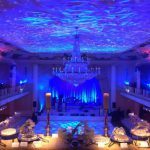 Inspired by A Midsummer Night’s Dream, this elegant wedding was held at the Philadelphia Museum Of Art. 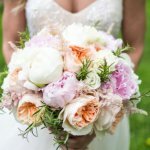 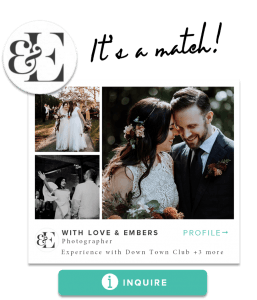 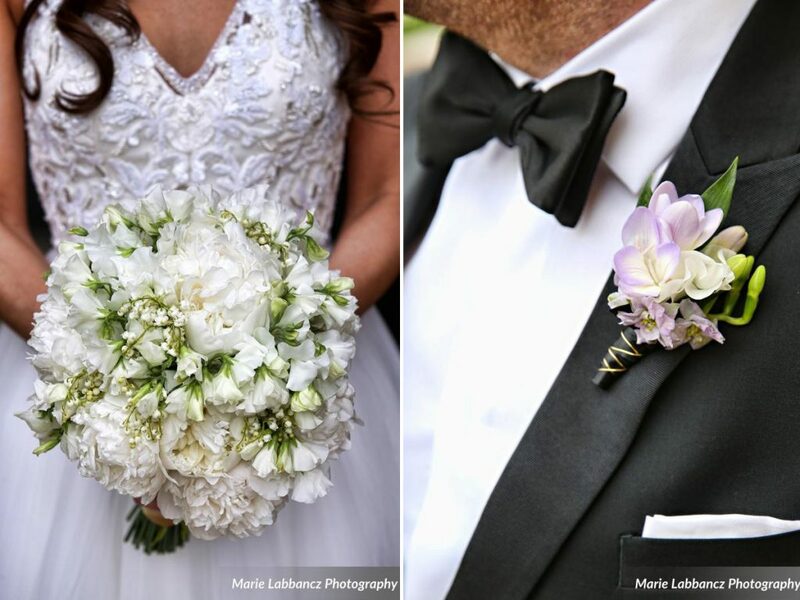 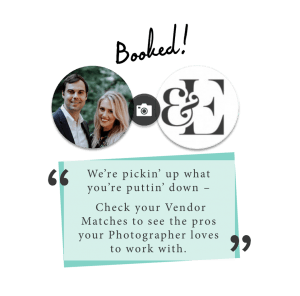 Our bride walked down the aisle in a delicate and feminine gown, carrying a classic, all white bouquet of lilly of the valley, sweet peas, and peonies. 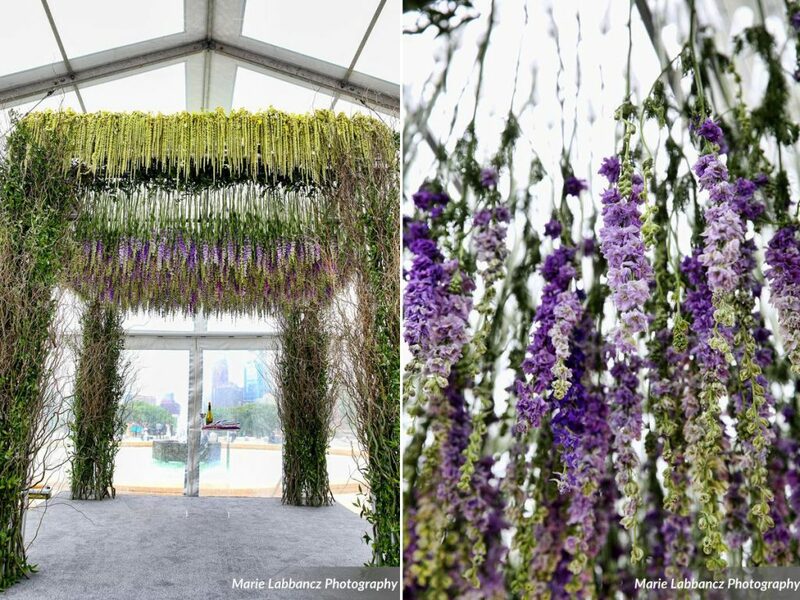 The chuppah created an otherworldly scene, crafted with golden curly willow branches and a canopy of hanging lavender larkspur blooms with cascading green amaranths.